Try something different this weekend with this Grilled Chicken Wrap Recipe. 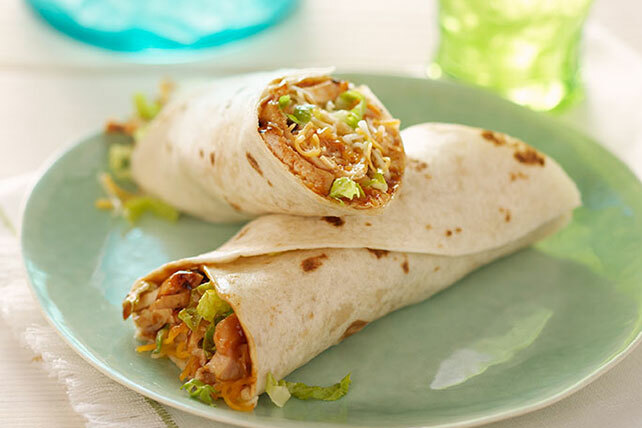 Our Grilled Chicken Wrap Recipe combines tangy BBQ, cheese and crisp lettuce. Grill chicken 6 to 8 min. on each side or until done (165ºF), brushing with 1/4 cup sauce the last few minutes. Cut into strips. Spoon remaining sauce down centers of tortillas; top with chicken, cheese and lettuce. Serve with a side of rice and beans to round out the meal. Sprinkle chopped fresh cilantro over filling before rolling tortillas up.